Kona Community Hospital’s (KCH) fifth annual Hope Event took place today, Saturday, October 23 from 1 p.m. to 4 p.m. at KCH’s Radiation Oncology Clinic (ROC). It brought over 150 people together to bring hope, celebrate life, and to recognize how cancer affects each and every one of us. The Hope Event and five-year anniversary celebration featured volunteer services from local businesses such as Intrigue Dezign and Tiana’s Avon and Wigs, as well as live music, food and more. In an effort to give back to cancer patients and survivors, five individuals graciously donated their hair that will be made into wigs through the American Cancer Society of West Hawaii affiliation with Pantene’s Beautiful Lengths program. The first patient treatment at the ROC took place on May 5, 2005. The ROC is currently treating approximately 15 patients a day, 3000 patients per year and has consistently increased the number of patient treatments on an annual basis since its opening. Instead of having to travel for treatments that usually last less than 15 minutes long, patients can be treated at the ROC and go back to their daily lives in a matter of minutes. The convenience and benefits of having a clinic in West Hawaii are outstanding. Founded in 1914, Kona Community Hospital is a 94-bed full-service hospital with 24-hour emergency services that supports the west region of the island of Hawaii. It is a member of the Hawaii Health Systems Corporation, a special agency of the state of Hawaii established in 1996. 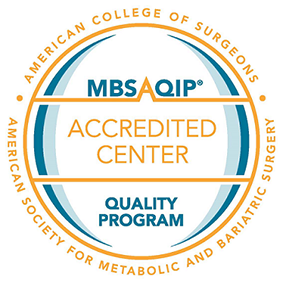 It is fully accredited by the Joint Commission on Accreditation of Health care Organizations. Kona Community Hospital is dedicated to providing and enhancing accessible comprehensive Health care services to the West Hawaii community.